Today I will be talking something different. How many of you are Linux fans? I guess very few. I am one of them. Ubuntu 10.04 has been a huge boost in terms of features and simplicity and hence its installed on my system too. Anyway, Today I will talk about how to Boot and run it from a USB flash memory stick without wasting a CD for testing it or even installing it on your system. You can install your favorite Linux operating system on a flash drive or USB key (Thumb Drive) letting you run it from any computer that can boot from a USB flash device, allowing you to bring your entire operating system, desktop, applications, files, email, personal settings, favorites, games and more with you. Itâ€™s your own personal operating system you can carry in your pocket. 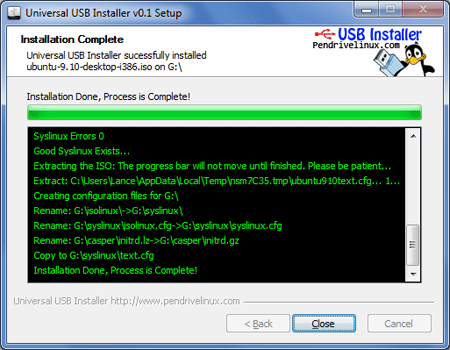 Universal USB Installer is a tiny app which can create a Live Linux USB. It gives you whole lot of Linux distributions to choose from. Obviously , you need to download the Image file of that linux distribution to proceed. The choosen linux distribution can be downloaded easily from the link provided at Universal USB Installer. 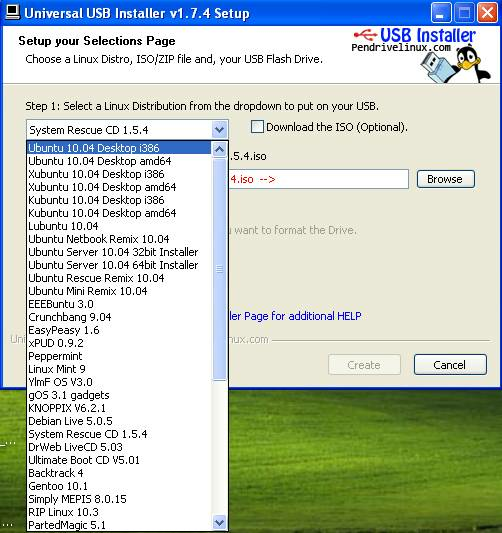 Simply choose a Live Linux Distribution, the ISO file, your Flash Drive and, Click Install.Upon completion, you should have a ready to run bootable USB Flash Drive with your select Linux version installed. Give it a try if you are a Linux Fan and want to carry all your Linux operating system in a thumb drive. is it possible to do all this on a mac? Windows XP/Vista/7 to create the USB (Win 98/2K WILL NOT Work!) and a PC which can boot from USB. If you can set your mac to boot from USB then this may work. I haven’t tested it on Mac but it may work if you can boot with a USB.